The U.S. House of Representatives recently approved H.R. 1694, the Fairness to Veterans for Infrastructure Investment Act. The legislation would include veterans in the Department of Transportation’s Disadvantaged Business Enterprise (DBE) program and would provide parity for the nearly 1 million veterans who are small business owners seeking government contracts. This would level the playing field in federal contracting for veteran-owned businesses by providing veterans access to existing preferences authorized for transportation projects. 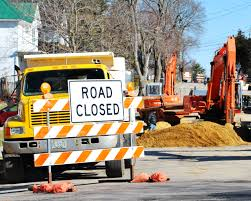 Sponsored by Reps. Mike Fitzpatrick (R-Pa.), Cheri Bustos (D-Ill.) and Don Young (R-Alaska), the legislation calls for states that receive federal money for transportation projects to included veteran-owned businesses in their contracting processes. They added that there are 380,000 construction firms that are owned by veterans in the U.S. that could help build projects across the nation. Currently, only half of the states meet their DBE goals. Adding veteran small businesses to this program would increase the pool of eligible firms at the states’ disposal. For states that already meet their goals, this bill does not affect them or the small business contractors they employ. The legislation now goes on to the Senate for consideration. The text of the bill is available on the Congress.gov website. The U.S. Small Business Administration (SBA) announced on Friday, August 1, this 2014 that the U.S. government achieved its small business federal contracting goal. The federal government awarded more than 23% of its federal contracts to small businesses, totaling more than $83 billion. This was the first time in eight years that the federal government has reached its contracting goal. 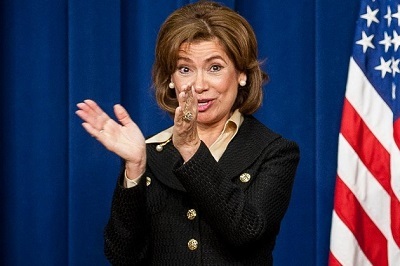 The announcement was made at a press conference that was held at the National Aeronautics and Space Administration’s (NASA) Goddard Space Flight Center by SBA Administrator Maria Contreras-Sweet. She was joined by NASA Administrator Charles Bolden and Senator Ben Cardin. While contract expenditures have gone down in all categories as a result of overall reduced federal spending, small businesses managed to secure a greater percentage of the contracts. This is due inpart to the SBA working with other federal agencies to help small businesses win federal contracts. The SBA also facilitated the requirement for larger companies with substantial federal contracts to sub-contract with Veteran-owned small businesses. Along with the announcement, the SBA released the FY 2013 Small Business Procurement Scorecard. These annual scorecard provides an assessment of each federal agency’s yearly small business contracting achievement against its goal, with 20 agencies receiving an A or A+. Overall, the federal government received an “A” on the government-wide Scorecard. What details can you offer on government contracts for veteran owned businesses? Government contracting for veteran owned businesses can be a valuable resource for veterans looking to start their own businesses. It is important to understand the positive aspects of government contracts when reviewing options for a veteran business or a service disabled veteran owned business because it may save money and time. It is especially important to review veteran business qualifications as you consider government contracts to ensure you meet all necessary guidelines for veteran-owned business status. Government contracting can not only benefit veteran diversity in the work place, but it can help make your veteran business much more successful in the long run. For starters, you can generally count on government contracts for veteran owned businesses to be available because unlike normal businesses affected by the economy, the government is never out of business. Therefore, government contracting can be a reliable source of income for a veteran owned business looking to stay afloat in tough times. Don’t be disheartened by talk of government downsizing and strict budgeting. There is plenty of money to be spent and veterans looking to increase veteran diversity by investing in a veteran owned business or service disabled veteran owned business have a good chance at getting to that money first. There are disbelievers out there that say government contracting is a long shot for small or disadvantaged businesses but that is not true. 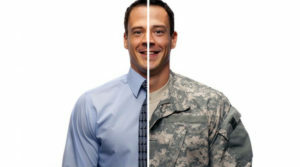 Due to decreased and simplified paperwork and a government program called the Very Small Business Program, a veteran owned business, service disabled veteran owned businesses and other veteran businesses have access to government contracts and, more specifically, government contracts for veteran owned businesses. Pending adherence to veteran business qualifications, veterans have the ability to do business with government contracts that can help build veteran diversity as well as increase revenues and create strong foundations for a struggling veteran business and new veteran owned businesses. In order to be considered for government contracts for veteran owned businesses, veterans must first meet veteran business qualifications and then complete all the necessary paperwork to apply for government contracting. By meeting the veteran business qualifications, veterans are confirming that at least 51% of their business is owned by a veteran(s), including at least 51% of the stock holdings, and the daily management is performed by one or more veterans. Service disabled veteran owned business status includes the previous stipulations, including the veteran(s) to have been disabled due to his or her service. These qualifications are in place to protect veteran diversity in the workplace. Upon meeting these qualifications and filing the proper request forms, a veteran business can then pursue government contracts for veteran owned businesses.